The Year of the Sheep coin is the second in the series of Royal Mint lunar coins. We received our first delivery on 18th September, 2014. Possibly influenced by the success of the Perth Mint's lunar series, the Royal Mint started producing their own lunar coins in 2014, with the Year of the Horse. Available in both gold and silver versions, the coins have proved to be a quite popular with both investors and collectors. As British legal tender, these coins have the added bonus of being CGT Free. 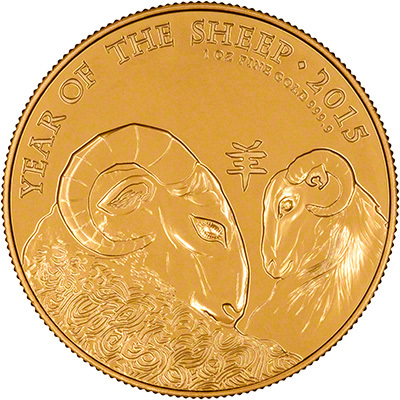 Whilst the Perth Mint have decided to use the "Year of the Goat", the Royal Mint are using the "Year of the Sheep". Both animals are recognised as the 8th in the lunar cycle, however most people would class the goat as being the main animal. It could be that the Royal Mint are using the "year of the sheep" so that they can differentiate their 2015 lunar coins from the Perth Mint's. Like last years design, the coin brings together both Chinese and British influences. The reverse of the coin was designed by Wuon-Gean, who took her inspiration from the Swaledale Sheep, which are often found on the hillsides of the Peak District. 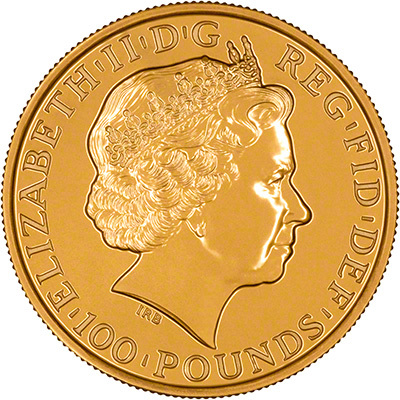 The obverse features the Ian Rank-Broadley portrait of the Queen. It is unlikely the Royal Mint will offer a trade discount on the proof version of the coin, meaning we will not be able to offer a reasonable discount when compared to the Royal Mint's price. For this reason, we will likely only stock the coin once it becomes available on the secondary market. The coins are supplied to us in tubes of 10 and unless ordered in multiples of 10, will not be sent in them. We can provide capsules for the coins at 50p each.